Readers of this blog know that we live with a flock of parrots, currently numbering nine, including five macaws, two African greys, a Goffin's cockatoo, and a Budgie parrot. Well, we also have an additional parrot, that we haven't much noted. This parrot lives out back. This parrot is carnivorous! This parrot also lives with a flock of its own, so to speak. 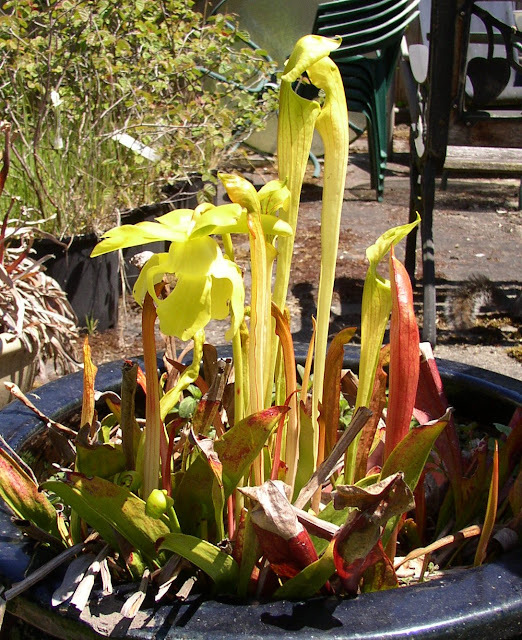 We're speaking of the Parrot Pitcher plant, Sarracenia psittacina. Not our Parrot Pitcher, but an interesting video of the Parrot Pitcher. 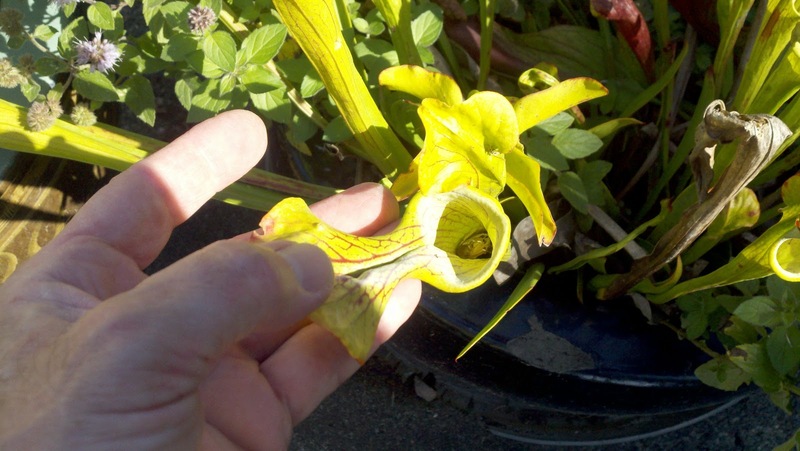 Why is a Parrot Pitcher plant called a Parrot Pitcher? 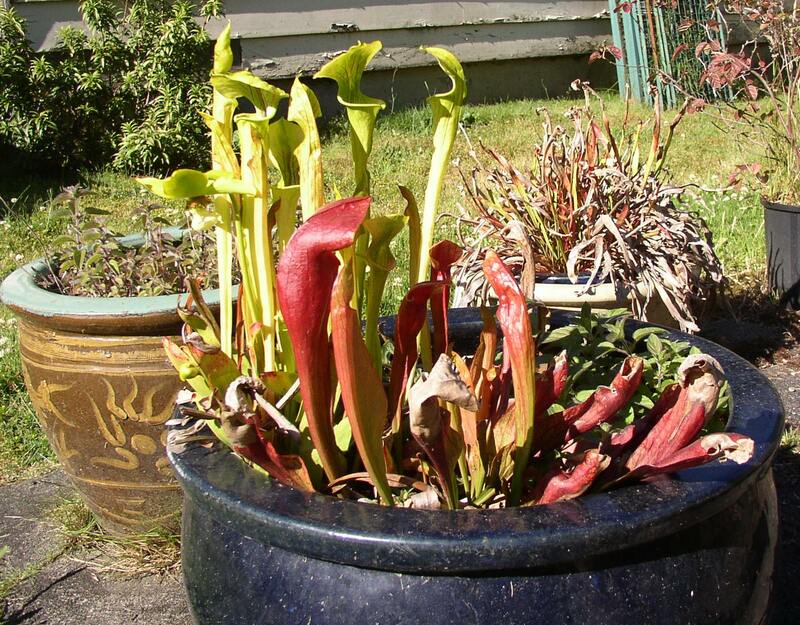 Because the head of the stalk vaguely resembles a parrot's beak. 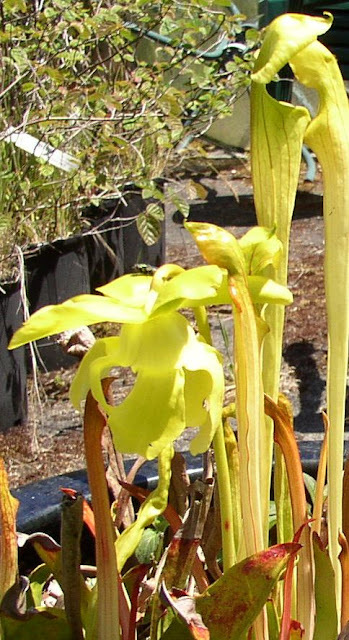 In late summer, the Parrot Pitcher (as does other pitcher plants) shoots up a striking flower on a tall stalk. Typically the flowers tower above the plant. The idea is to get bees to pollinate the plant, not get eaten by the plant! 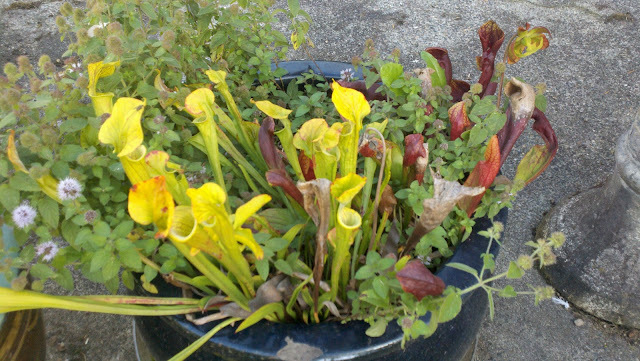 Our carnivorous flock: The Yellow Trumpet to the left (Sarracenia flava), Purple Pitcher center (Sarracenia purpurea), and Parrot Pitcher. The young shoots of the Yellow Trumpet tower over the Parrot Pitcher. Gorgeous Yellow Trumpet flower just left of center. The towering stalks of the Yellow Trumpet remind us of parrot chicks with their mouths open, waiting to be fed! Close-up view of the Yellow Trumpet flower. Wondering how well these guys eat? 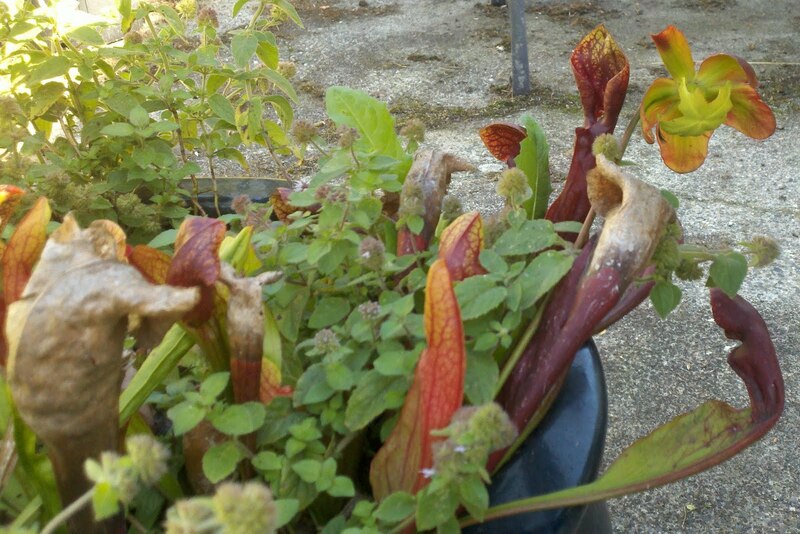 Each stalk is stuffed to the brim with flies and wasps! 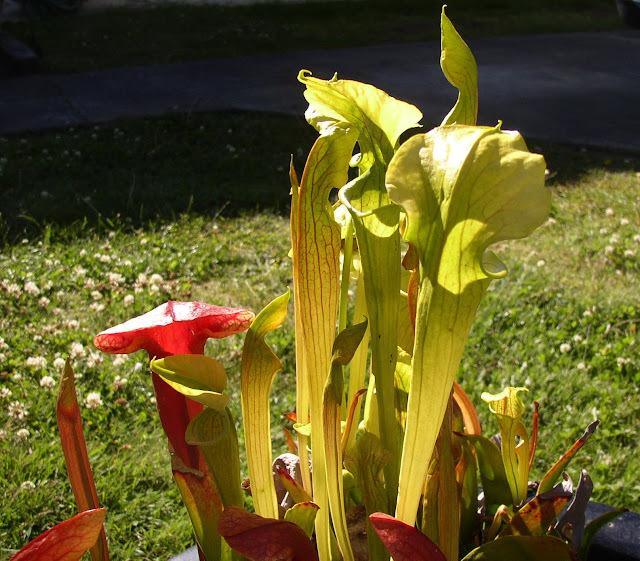 Why the insects don't just back out of the stalk once they go in. Nice to have at least one parrot that can feed itself!